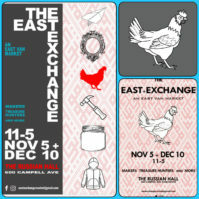 I’ll be at The Russian Hall on November 5th for the very first East Exchange Market! I’ll have all sorts of Oona Unders and accessories for sale. There will be lots of other great stuff to choose from at the market too so come on out!